Secret Nature has a goal to provide every person with a unique experience that can be found nowhere else. Founded in 2017 by a group of holistic health practitioners and cannabis connoisseurs, the team at Secret Nature has a true passion for providing the most unique, highest quality products available. The CBD brand used their experience and knowledge in the Colorado, Oregon, and California cannabis industries and applied it to the hemp and CBD industry to take their full-spectrum products to the next level. With a range of different CBD products to try, we wanted to give Secret Nature a fair shot with our review. Let’s dive into what’s unique about Secret Nature, our review of their various products and accessories, and the pros and cons of the CBD brand. 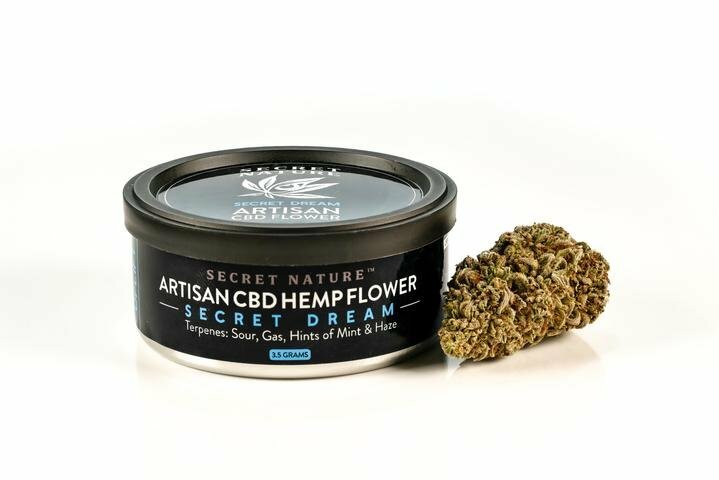 What's Unique About Secret Nature CBD? CBD concentrates offer an extremely high percentage of CBD in every cartridge. 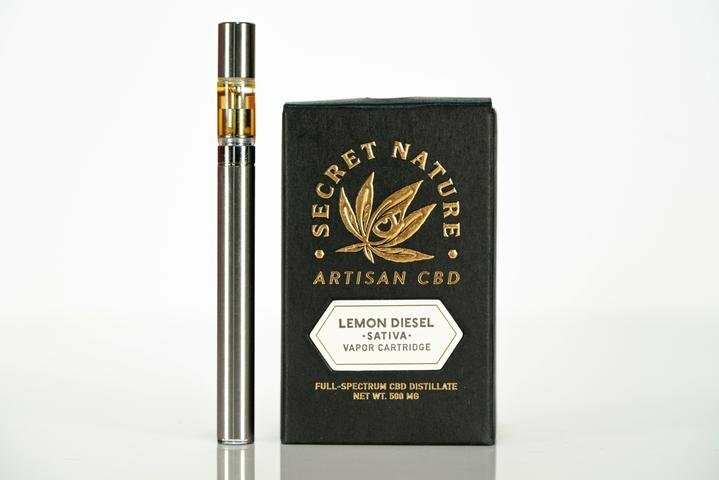 The full-spectrum CBD distillate vape pen cartridges from Secret Nature appeared to all contain 500mg of CBD. Each pen is named after a famous marijuana strain, including Lemon Diesel and Durban Poison. Engineered to be similar to the strain without providing the high effects, the strains specify whether they’re Indica-dominant, Sativa-dominant, or a hybrid of the two. 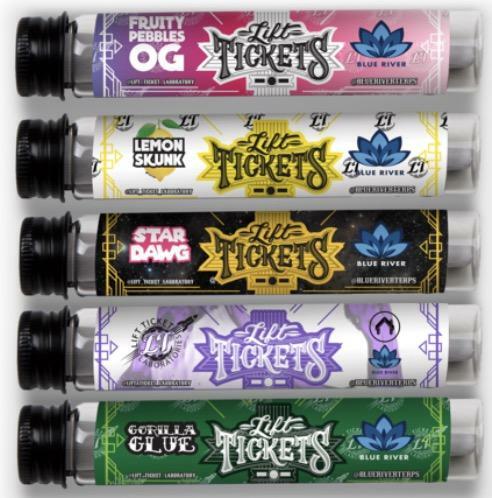 The Sativa vape pen cartridges are designed to provide uplifting effects that promote productivity. The Indica vape pen cartridges, on the other hand, are better designed for reducing nausea, promoting appetite, or helping those that have trouble getting to sleep. Like the vape pen cartridges, the CBD flower from Secret Nature is labeled with whether it’s a Sativa, Indica, or hybrid strain. The certificate of analysis is plainly featured on the site right beside the flower strain, so we were confident with the flower we tried before we ever got it delivered. At over 20% CBD and over 24% total cannabinoids in the bud, we were tremendously pleased with the overall medicinal quality. 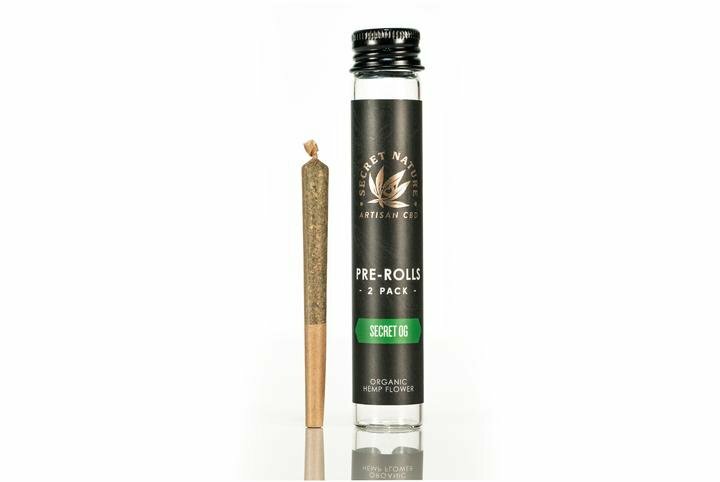 Made with only 100% top shelf bud, the CBD pre-rolled joints have only high-quality material in them; never shake, trim, or low-quality leaf. They believe in providing the highest quality product to receive the highest quality outcome. To our delight, each joint was rolled in organic hemp paper for a fuller effect. Likewise, the mouthpiece was even made of hemp! Overall, even though it wasn’t marijuana, the pre-roll provided the smoothest hit we’ve experienced from a pre-rolled joint. The cannabis plant family, including both hemp and marijuana, contain over 100 different cannabinoids and terpenes. While CBD and THC are the most well-known, the other terpenes and cannabinoids play a major role in the overall flavor, smell, and experience of the bud. The CBD terpene papers from Secret Nature lets you take everything another step further. We found the terpene-infused blunt wraps and CBD joint cores to further enhance the medicinal properties the plant possesses. The organic CBD Nectar Drops from Secret Nature provided a delicious drop of mint with each dose. The smell-proof cap made us confident with going outside in public with it, and the light-resistant UV glass prevented any sun damage risk. At 1,250mg of CBD per bottle, each individual drop is about 2.1mg of CBD. With about 600 drops total, we certainly felt like we got our money’s worth with this one. Disclaimer: The following reviews are made by consumers. Secret Nature has not reviewed and therefore doesn't endorse, support, or approve the reviews or recommendations left by consumers. These statements have not been evaluated by the FDA. Secret Nature products are not intended to diagnose, treat, cure, or prevent any disease.